What is a storm hazard and how do they occur? The different types of storm hazards that we are experiencing. The effects that these storm hazards can have on humans, buildings, animals, and plants. The things we can do to minimize the effects of storms. Storm hazards are a prevalent problem in our world and it is a disaster that no one wants to experience. It is a catastrophe that does not discriminate, but is most prone to coastal areas because storms are formed commonly on bodies of water. 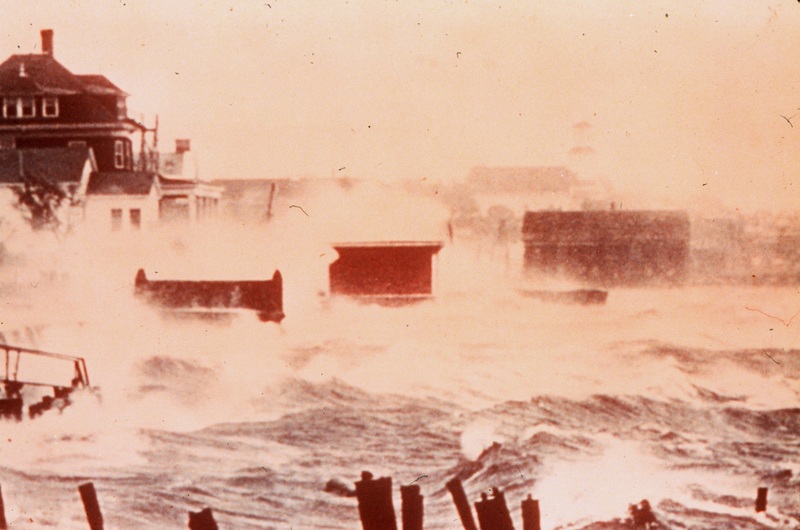 The most common storm hazards that we experience are storm surges and tidal waves that are created by hurricanes. These are a massive danger to the lives and property of people who are in the storm-affected areas. It is the abrupt increase in water levels which is mainly caused by hurricanes. The levels of water can rise by more than 20 feet and can cover a wide area of the coastline. The severity of its damage can be from mild to massively devastating, depending on the size of the typhoon or hurricane. The weather bureau of each country is responsible for knowing the severity of the storm. The disaster management committees are in charge of the assessment of the possible damage that it can bring to the area. This is the most dangerous among the list of storm hazards as it poses many potential dangers for the area that it hits. Water contamination – The quality of water in a certain area reduces because storm surges mix up debris and dirt in the areas where the clean water is located, contaminating it. Power interruption – This is a common result if a strong typhoon or hurricane hits an area with power cables. This is because electrical infrastructure is very vulnerable and malfunctions can happen when a weather disturbance hits an area. Landslides – This usually happens when continuous rains happen in a mountainous region. Because of the nonstop rain, the soil on the area weakens. The landslide is triggered when wind or water hits it. Because the soil is already weak, it will fall easily along with rocks, trees, and other debris. Mudflow – This is the most common consequence of landslides because the soil will be mixed with water and will flow through surrounding areas. This mudflow can create a lot of damage to property and water quality. Flash floods – This is the most common effect of a storm surge. It is usually brought by continuous rains and clogged drains. Intense flooding can damage houses, cars, and other property. This is also life-threatening as flash floods raise water levels quickly, putting people in danger of drowning and could result in infections like leptospirosis due to dirty water. 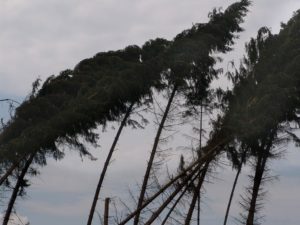 These strong winds are caused by a typhoon or a tropical cyclone and can put people in tremendous danger as it can trigger massive waves that can put the lives and safety of people living in coastal areas in danger. Tornadoes are made up of violent air that is commonly paired with a thunderstorm. 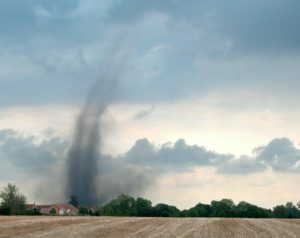 Tornadoes create a rotation that has the ability to destroy everything on its path, including houses, buildings, trees, cars, and people. Destruction of houses, farms, and other structures. It can take the life of animals and people. A lot of trees can be damaged severely because tornadoes have the power to pull them out of the ground. 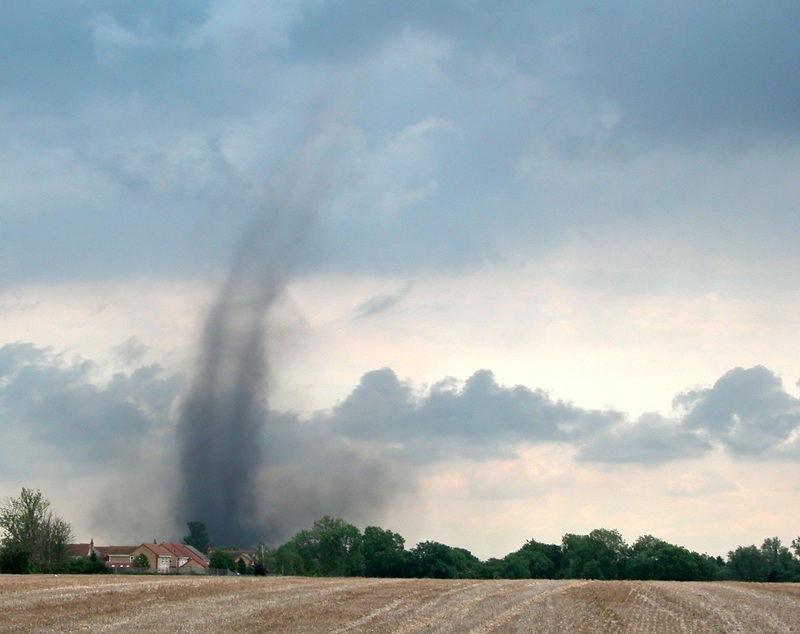 The debris that is caused by tornadoes can create a threat to the life of humans. They can cause severe damage to the electrical infrastructure of the affected area, which can also start fires. It can contaminate the water supply in the affected area, which creates a risk for certain diseases to spread. Follow the disaster management plans that your local government issues during a storm. Be prepared by having a stock of canned goods, fresh bottled water, and an emergency medical kit so that you will be ready when the storm arrives. Unclog drains to avoid or minimize flooding. Evacuate as early as possible to avoid getting caught by storm surges. To conclude, you now know that storms can cause massive damages to you, your family, and your home. This is why mitigation techniques are very important to manage the effects of the storm. With proper knowledge and planning, you can avoid panicking in disastrous situations, allowing you to think clearly and stay safe. Although storm hazards are natural calamities and cannot be avoided, it is important to have knowledge about how to minimize the effects of storm hazards.